To the left of La Route de l'Ermitage, 200 to 300m after the crossing in direction of la Roche-qui-Pleure. 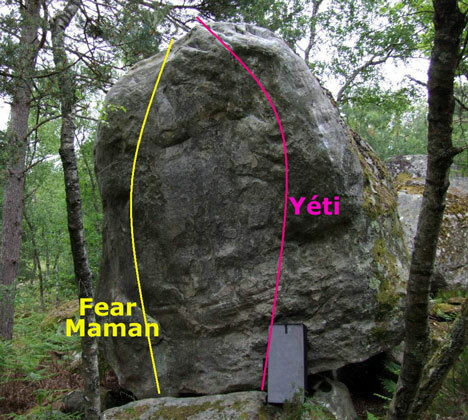 Right angle on the boulder of Fear Maman. Access: from the parking lot, follow La Route de l’Ermitage for 200m up to the top of a descent. 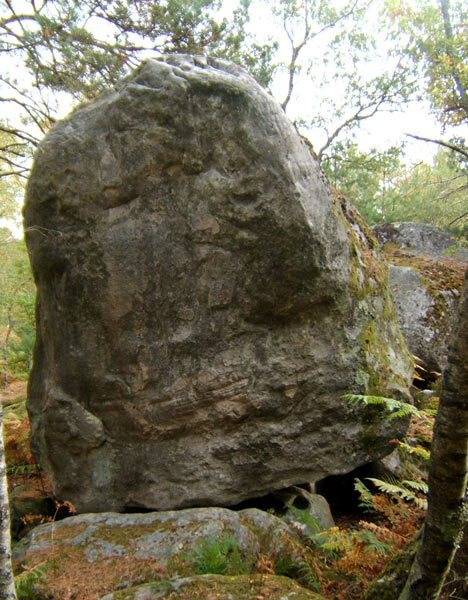 The boulder is then 20m to the left.